Caritas is investing €36.4 million over three years to help Nepal’s earthquake survivors as the country marks the first anniversary of the disaster. A major focus of the global confederation’s work will be on providing good quality housing. The 7.8 magnitude earthquake on 25 April followed by another on 12 May 2015 left almost 9000 people dead, caused numerous casualties and destroyed many homes and buildings. 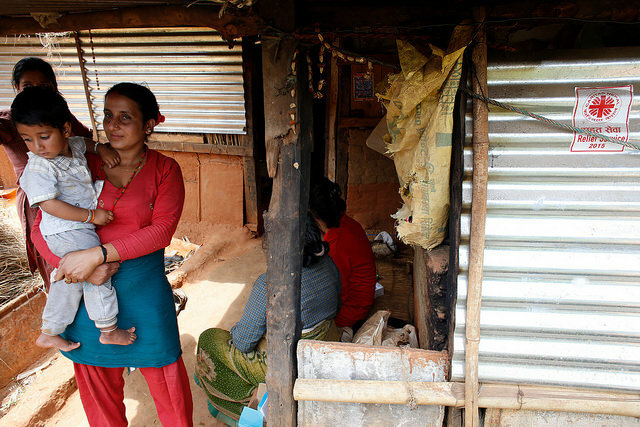 Over the past year Caritas has helped over 1.2 million people in Nepal. In the immediate aftermath of the earthquake, Caritas delivered emergency aid to over 70,000 households (over 300,000 people) including food, shelter, water and sanitation relief items. Working in 15 affected districts, Caritas member organisations helped communities recover from the earthquake following the initial emergency by providing shelter to over 110,000 families. They provided access to hygiene and sanitation to around 38,000 households. The Caritas confederation distributed seeds and food to 34,000 households and invested in repairing almost 400 schools. Caritas member organisations have also given cash grants to help people reboot their businesses, cash-for-work, medical support and help preparing for winter, among other things. Fr Silas Bogati, executive director of Caritas Nepal says, “The unity of the Caritas confederation meant we reacted quickly to the emergency and it has helped us achieve so many things over the past year. Caritas will ensure that the people of Nepal most affected by the earthquake are able to rebuild their houses, restore access to safe water and sanitation facilities, rebuild their livelihoods and enhance their resilience to future disasters. Over 600,000 houses were totally destroyed in last year’s earthquake and almost 300,000 damaged. Caritas provide technical, financial and material support to local communities so they can build houses which will withstand further earthquakes for 4,400 families. Caritas will ensure that communities are the driving force behind recovery efforts by offering cash-for-work to 2000 households, boosting farming activities for 4,600 households and training people to face disasters more effectively. Communities have reported anxiety, sleeplessness and nightmares since last year’s earthquake. Caritas will identify people who need counselling and train representatives from 72 communities in protection issues. To mark the earthquake anniversary, Caritas will hold a three-day event in Kathmandu from 25-28 April in which member organisations will look at challenges and successes in the confederation’s work over the past year. The event will be attended by Caritas Internationalis president Cardinal Luis Antonio Tagle. For more photos on Nepal one year after the earthquake, please click here.